On the outside, Christy Dawson is just a normal high school student, but she hides a chilling secret. Caught between the worlds of the living and the dead, she has been plagued by horrific, terrifying visions. 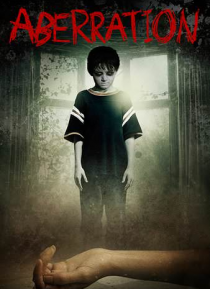 With the appearance of a ghostly young boy, these horrific glimpses of evil begin bleeding into her reality. Someone or something is killing everyone around her, and her only hope of surviva… l is to uncover the truth behind a mystery that has shrouded the entire town in terror.